Photographer Shimpei Asai was lucky enough to step behind the curtain with John, Paul, Ringo and George on their 1966 trip to Tokyo. The rare, behind-the-scenes photos have only just been released in the limited edition photo book Hello, Goodbye. 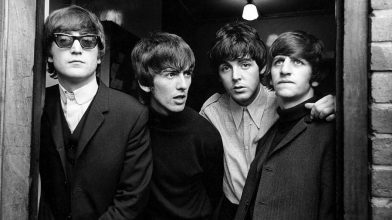 Jump below to see the photos of The Beatles, along with comments from Asai. In 1966 The Beatles saw Tokyo from behind the windows of hotel rooms and tour vans and Shimpei Asai was their behind-the-scenes lens.